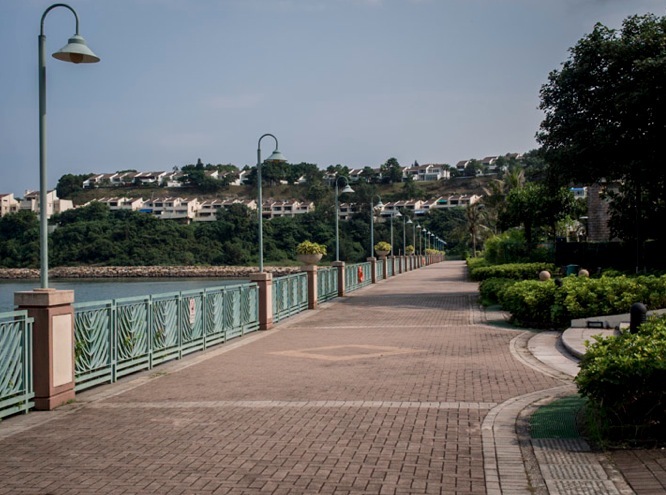 Last Saturday I was strolling from the Discovery Bay Plaza to Discovery Bay North and I had my camera with me – so I decided to take a few pictures of my walk. 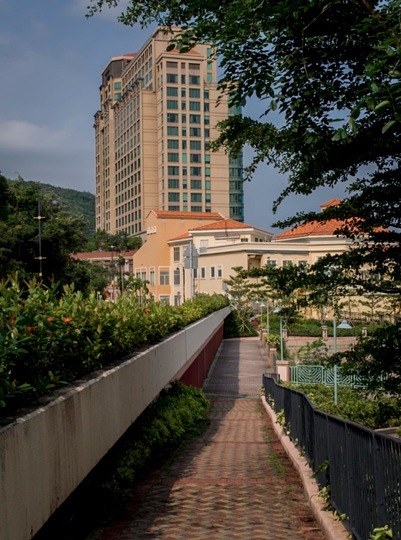 Let’s start with the DB International School, which is right next to the SKH Wei Lun Primary School. 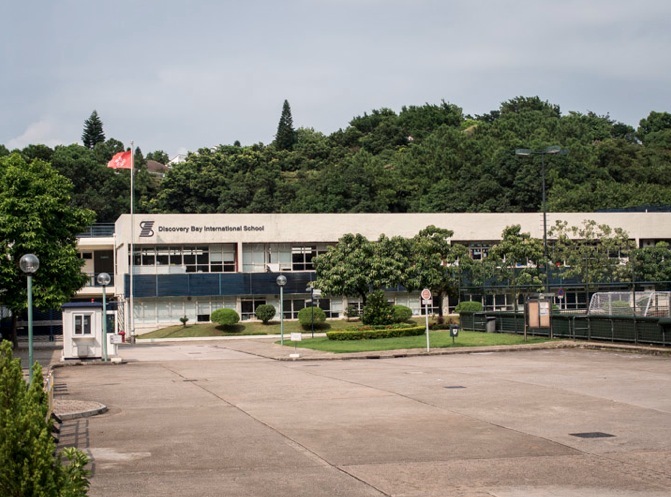 The DB International School has about 1,000 students. The school has just started here in Hong Kong and if this would have been a week day, the picture would have looked very different. After passing the school I walked up the slope to the Parkridge Village, which is to my left (if you don’t know Discovery Bay, check out this map). To my right are the high rises of the Greenvale Village. 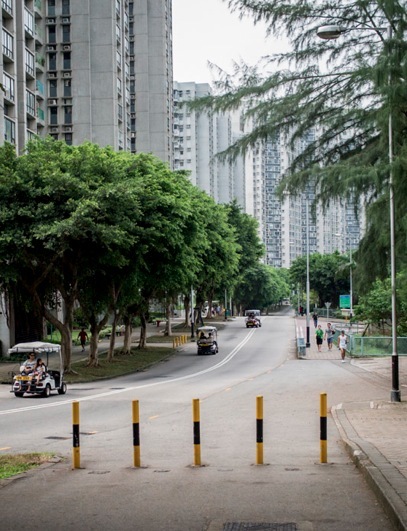 All the buildings in the Greenvale Village have names starting with Green – so there is Greenery Court, Greenfield Court, Greenland Court, Greenmont Court etc. I think you get the picture. 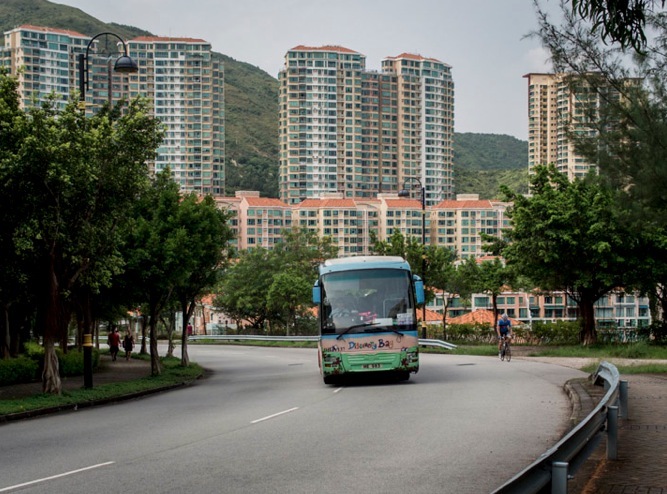 Of course, this is Discovery Bay – so apart from the official buses and mini buses, all other vehicles are golf carts. So they chase each other up and down the street. I then decided to walk along Siena Avenue, which would take me past the Siena houses. The next photo shows the Siena houses in the front, then there is the newly built section of Amalfi in the middle (to the right), with the Joyful and Peaceful Mansions to the left and the Chianti high-rises to the right in the back. 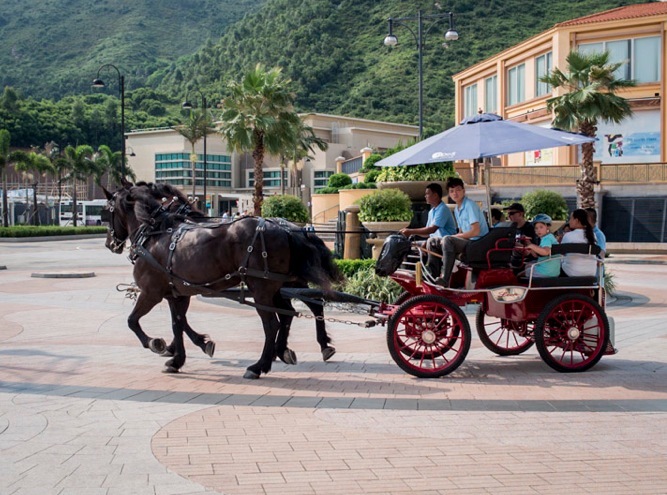 After Chianti, Amalfi is the newest development in Discovery Bay. 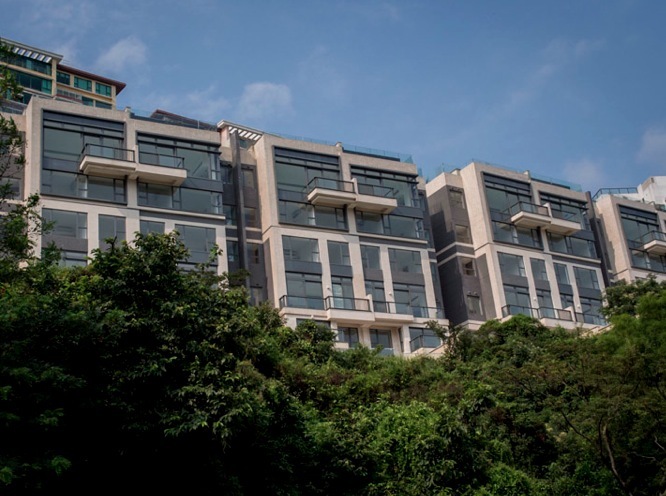 It comprises three mid-rise blocks that provide 164 flats, ranging from one to four bedrooms and between 661 and 3,264 square feet in terms of gross floor area. 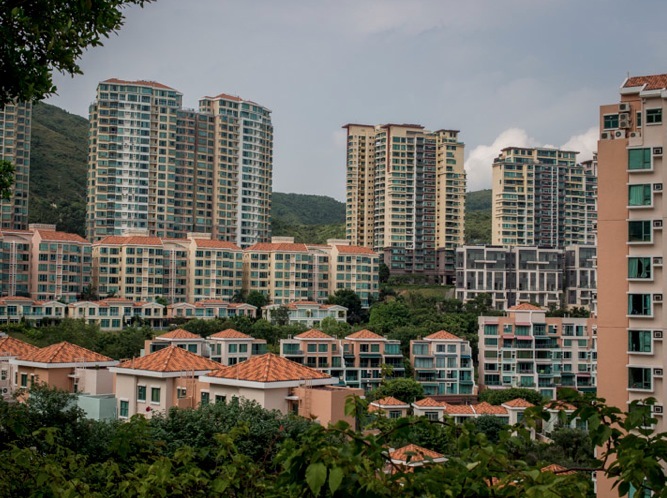 When the first 50 flats went on sale the prices ranged from from HK$4.6 million for a 661 square feet flat to nearly HK$36.5 million for a 2,310 square ft apartment. I’m not sure when people can start moving into Amalfi, but when I was walking past the development the flats seemed empty. 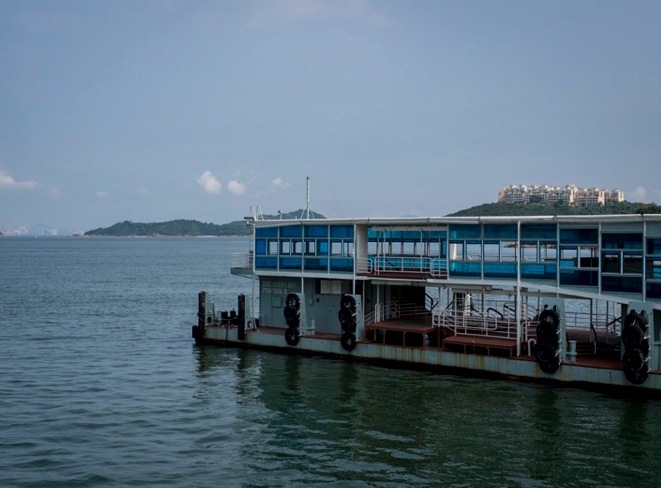 I continued my walk along Siena Avenue until I arrived at Club Siena – there I just strolled along the Esplanade and looked over to Disney, Kowloon and Hong Kong Island. 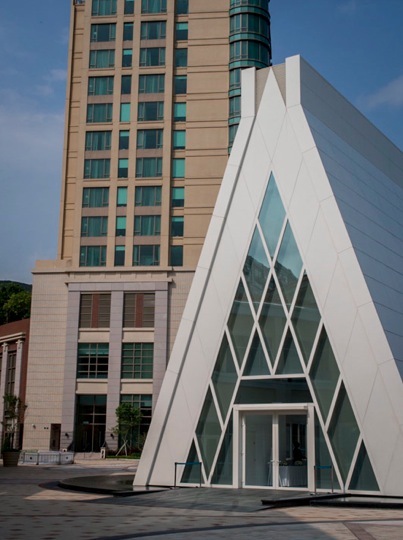 Next to Club Siena is the Hotel Auberge – which is now finally open. It seems to be quite popular, there were quite a few people checking in and out, others were walking along the property. 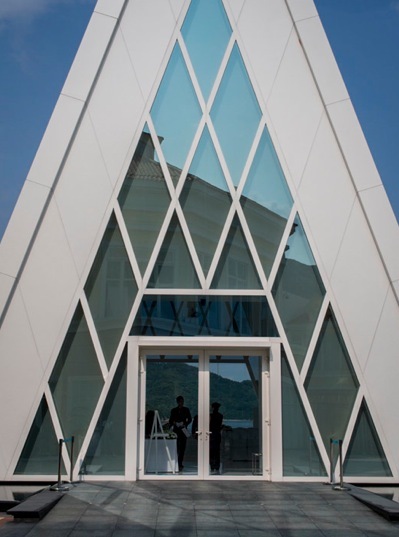 It seems that most people are intrigued by the striking wedding chapel – which is very modern and has a stark design. Not sure it fits the scenery, but the views from inside are nice (especially as you’ll overlook the bay – not the pontoon dock). 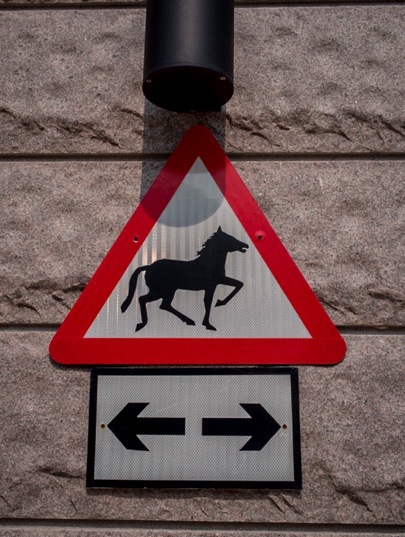 … I was greeted by a horse carriage. Clearly a new tourist attraction or who would take the horse and carriage to catch the ferry to work? Love the horse and buggy! wedding services are sub standard. couples who have plans to get married there should rethink before signing the contract. those who had signed up should delegate a friend or hire an independent wedding planner to follow up every single wedding related matters.